I'm not having good thoughts about this "friend." I don't need friends like that. I don't think anybody does. Good riddance. Tamara D. McConnell wrote: I'm not having good thoughts about this "friend." I don't need friends like that. I don't think anybody does. Good riddance. My friend contacted me via email. He apologized, and I accepted his apology. He is going through some tough times and truly was pissed because he was looking for a cal king for breeding, and I had one and let it go. Obsessions are a blessing and a curse, and I understand that. He realized that in the big picture it was nothing at all. I agreed. I am happy we can continue our hobby, as well as still be work colleagues. Well said Mr. Hubbs. Attitudes change with experience and knowledge. You mentioned a housing tract in San Diego. What about all the building in the Tucson area? Just agreeing with you that urbanization is killing far more herps than field herpers. So because herps are being decimated one way, its okay to keep culling them in another way..
Im not "against" all collection, its just funny. Trivializing and default thinking (as in the angry friends complaint) reflects a common archaic view of operatives of our brain's empathic pathways, associated with these are abilities to connect concepts and relevant nuances of data in amalgamate function, the sophomoric left brain/right brain explanation of what is logic and what is emotion is an outdated dichotomy. Stunted, self seeking empathic pathways are a sign of mental limits - not strength. Its not just knowing what, where and how many that comprises intelligence, but how much we understand. 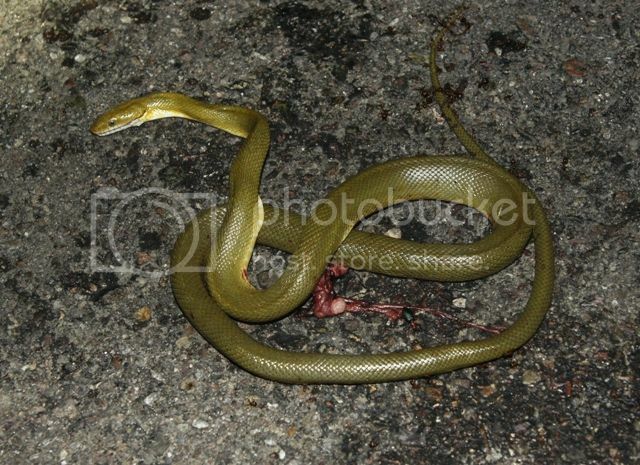 Kelly Mc wrote: So because herps are being decimated one way, its okay to keep culling them in another way.. Yes, culling is OK if the habitat remains because...wait for it...wait for it...HERPS BREED EVERY YEAR AND HAVE BABIES THAT REPLACE THE COLLECTED INDIVIDUALS...!!! We seem to forget that herps are one of the most abundant animals out there, and they are sustainable...especially in large tracts of habitat. Kelly Mc wrote: Trivializing and default thinking (as in the angry friends complaint) reflects a common archaic view of operatives of our brain's empathic pathways, associated with these are abilities to connect concepts and relevant nuances of data in amalgamate function, the sophomoric left brain/right brain explanation of what is logic and what is emotion is an outdated dichotomy. Stunted, self seeking empathic pathways are a sign of mental limits - not strength. Yes we know that. For the thousanth time over that has been affirmed here by many. What is more rarely dared to speak of is, speaking of individuals, human and herp, is that which compels the moment of grace that forms the decision to leave an animal to its native life. Hubbs, I am also enjoying your comments on the process/growth of a herper. In my last post I was not saying that taking animals through field collecting was any better or worst than building new houses or business. I can't say if I was more sad, or angry. I was both. I was thinking about the resulting increase in vehicle traffic when building occurs. Everyone looses, except the careless driver. Actually for me taking it as a pet was not an option. I had been given one more than two years ago (captive bred KVS). It was not a good pet, so I passed it along to another herper I have known for decades, that is really good with them. I was really pissed because I just wanted a good picture. It was the first one I had seen in the wild. Unfortunately, the habitat destruction and road building cannot be stopped. We will never regulate the human population until we are at the absolute, complete and total carrying capacity and it will largely be regulated then by death and infertility. Wow the 2011 discussion on this topic was excellent. A bit off topic, but I'm afraid this does seem to be our path. The biological close calls are increasing, and medical science, for all its wonder and successes, is having a harder time keeping up. Examples are genetic anomalies that would have been selected to be infrequent when we were hunter gatherers, are now becoming commonplace and biological threats such as Zika virus, where recent circumstantial evidence points to a possibility of being carried by Culex mosquitoes, which, if true, could have a devastating effect on global population growth. Considering our species as being above the laws of nature was fine when we were hunter gatherers, "believing" we were chosen and protected by spiritual entities, but now we've used our evolutionary advantage to "conquer" nature with technology and medical science. Alas, IMHO, we've passed the turning point of having the will to actually control our impact on earth, and our population will be held in check by a biological or geological shift. Only when this happens will it be even possible to slow population growth, and, even then, there will be short sighted "nay sayers" and deniers. I have to agree with Brian on this one, even the “most of the time” part. •	Finding herps and entering them in the data bases with photo vouchers. •	Collecting and sacrificing animals for science WHEN IT IS REALLY NECESSARY. •	Keeping a small, focused, legal collection in a healthy environment for personal and educational reasons. •	Using captive bred when possible (which has become rare for my interests), but sometimes (about once every 10 years, for me) legally harvesting a specimen from the wild. Brian is right, guys and gals. Habitat destruction/alteration are all that matter. Human population growth is the biggest threat to all wildlife. Collection/herping are insignificant. At the core is that we operate in a vortex of deep self absorption and want. Wholly preoccupied with our own kind. Some people go through days and weeks without a single reminding thought that there are even other animals on the planet. Whether those here catch or dont catch, that is one significant fact that makes us different from many, many other people. But there's nothing "unscientific" about having a little class and restraining oneself when you see something you like, either. Fieldherper wrote: Brian is right, guys and gals. Well...it is finally clear. And I don't like it. There are a whole lot of Masters and Ph.D. students that are with me. Because they do collect. Simply put most people that collect are learning and getting experience. Those of us that don't collect have no more or less "class", we may just have more experience. I think it is an individual that makes the decision and should not be generalized as having less class because they may or may not collect. I have friends who collect. They are conscientious, and I have no problem with what they do. I don't care to collect, but when it is done intelligently, and with studied respect towards what the animals need, I'm ok with it. I can't really throw stones...I keep native fish, so I'm living in a glass house, in that respect. I also know a few folks who treat the world as a free pet store. Those are the folks I have problems with. I find the, "It's pretty! I must have it!" mentality to be immature. The folks I have met via FHF tend to be more conscientious. It is mainly my local herp society peeps that make me cringe, with their avaricious tendencies. If it's something cool, they have to bring it home and keep it. I can't stand that. Our local group has the word "conservation" in its name. If you are bringing animals home, you are making them ecologically dead, right? How is that conserving them? I dig what Brian said about herpers moving through phases...I get aggravated seeing local people stuck in the same phase for years and years. But there's nothing "unscientific" seeing something really cool, taking some pics and leaving it to live out its life in it’s environment. Rather than including your distaste for others with a contrary point of view. How about not being such a Chattering Trick. You have far more posts, and long winded responses than I.
Tamara D. McConnell wrote: I have friends who collect. They are conscientious, and I have no problem with what they do. I don't care to collect, but when it is done intelligently, and with studied respect towards what the animals need, I'm ok with it. I can't really throw stones...I keep native fish, so I'm living in a glass house, in that respect. I also know a few folks who treat the world as a free pet store. Those are the folks I have problems with. I find the, "It's pretty! I must have it!" mentality to be immature. . . . If it's something cool, they have to bring it home and keep it. I can't stand that. . . . I dig what Brian said about herpers moving through phases . . . I get aggravated seeing local people stuck in the same phase for years and years. I think you're on to something here...sort of. You acknowledge two distinct types of folks who collect--who do so with a divergent set of reasons (the first being a carefully measured assessment of whether they should, the second being "keep everything I find" or variations on that theme). To lump both these types (and I consider myself in the first of the two--someone who rarely collects, but for a few species I find interesting, and I track all sorts of information on them while in my care) into a single, "immature" phase does a disservice to the first, conscientious group. If you are bringing animals home, you are making them ecologically dead, right? How is that conserving them? Not in all cases, but in SOME cases, people bring home individuals and breed them for other enthusiasts to purchase, rather than those additional enthusiasts going out and collecting their own, so in terms of populations, it can be a conservation technique, albeit an indirect one. I think we humans tend to think short-term and immediate impacts (in the case of herps, individuals vs. populations), using our hearts more than our heads (and I'm certainly guilty of this often). The "ecologically dead" consideration is one I bring up to Texas Parks and Wildlife regarding the ability to collect (or even TOUCH) an animal on a public road. Ran over by a non-herper (or a herp-hater) is as ecologically dead as being collected, and based on my preceding paragraph, potentially more so, since a dead herp can't reproduce. Under current law, if you see a snake, turtle, etc. on a roadway, you are not legally allowed to collect it, nor pick it up for photographs, nor move it off the road, nor even corral or "shoo" it off the road, because heaven forbid someone takes a herp home now and then. I've seen turtles run over in front of me while I was obeying the law, photographing only, just to have a careless (or mean) individual kill them. One of the females was full of eggs. In the eyes of the law (and by extension, the lawmakers who have held hearings on why it's a bad law), it's better to let these animals get killed than to move them off the road, or (gasp) have a young child experience the joys of caring for a herp and cultivating a lifelong love for them. That's a little bit of a digression, but I'm trying to keep to the subject line ("warning: long winded"). Great response, Chris! You have got me thinking, and quite possibly learning. Yes you're right. Most of your posts you've deleted to a period mark like a crazy person. I know what you will say is the reason and its also crazy. If you cant read my posts without getting upset its your problem. Well, I guess I am crazy. I have been called far worse names, by far more educated people than you. People just don't like it when I point out their faults, or have a more reasonable opinion. By the way your posts don't upset me. My replies are a simple diversion I allow myself as entertainment. This forum is very entertaining. craigb wrote: I have been called far worse names, by far more educated people than you. is that those people - who are waay smarter than me, have a more educated understanding of what an asshat you are. Why don't we get back to the thread? Or do you just want keep up the name calling? By the way, "way" only has one "a". Yeah I admit I think you're a cringy, belt loop tugging dolt. But why are you bothering to even respond to such a self educated savage such as myself? Shouldnt you be above it? "By the way your posts don't upset me. My replies are a simple diversion I allow myself as entertainment. This forum is very entertaining." I did a 10 second google search and nothing mentioned was remotely interesting to me. What name will you call me next .... Hobo Kelly? I dont remember that Hobo Kelly, but I have to admit that was pretty good. This thing here between us was really bad Craig. We owe everyone an apology, but the truth is that there are alot of people that find beef amusing, and people in beefs know this, the audience is crucial to the whole interaction - otherwise it would be done in PMs. It can detract from the value of a real discussion, and is always an embarrassment in retrospect to most people who have given in to negative interactions. The thing is, I am comfortable with my 'strong' views and dont have much of an edit button. I dont feel the necessity to soften or worry about how they make a person with a contrary opinion "feel"
I have changed some opinions I have had by not personalizing the input, and recognizing the merit of the input itself, but the most important thing is not being afraid to be wrong. Please stay in your lane, and I will stay in mine. I do not wish to be monitored for being "judgemental" . Perhaps I am judgemental. But Im ok with my own discernment. I dont need your help with my personality. Lets just not do this again. Lord, this is prob gonna start a whole new mess, but I gotta say...Kel, I always enjoy you slaying folks. Love your wordsmithing. Sorry, Craigb. It's nothing personal. I just really enjoy when Kel gets on a roll. I almost always learn new words. I also know that if both of y'all met in person, you'd probably get along just fine. Herp people have an affinity for each other. While you both say this has gotten "bad". We never stopped talking or got into profanity and shouting. And Kelly we are both judgmental. I just try to get more opinions and discussion. But, I too have blown up and gone to far. Like Tamara said, I bet if we met we could talk and find a lot of common ground. That was also a good analogy using lanes. We are both on the same road and can easily use different lanes. This whole thread about ethics is basically every person for themselves. Because we each have our own personal set of ethics. Trying to change another persons ethics/opinions is difficult at best. We went through 12 pages, and as people gain experience and knowledge they change. It is nearly always a slow process. I do want to apologize for being mean about your sense of humor. I actually liked Rupert Pupkin and especially today, in this day and age a gentle corny-ness is warm and I like it in a person. Im that way often, I make up songs about dogs and sing while im feeding my animals like a child. We never know whats going on with a person or why they are the way they are, and if i thought i actually hurt someone it would really bother me, I would receive no pleasure from that. I also want to say that there have been some comments lately about the words that I use, and I find it confounding because thats the way I talk and write, I have to write at work too, incident reports and shift emails to my admin, letters too, (I like slow mail) feedback I have gotten has been fine. It makes me think that it looks like Im trying to put on airs or that there is some pretense to it. There isnt really. I just want to describe things. The purpose of this thread was a discussion of Herping Ethics, it consequently shifted to population dynamics and how development is the main factor of destruction, making collection diminutive in many cases and areas. I observe a resistance to discussing the relational aspect of what makes a person make a choice to leave an animal to its own course of life and death, when that person encounters it in its native state. It is my perception, in these discussions, that a choice based on a generosity of will rather than ones own wants, is seen as opposed to having scientific sensibilities. But I think that generosity and population data can coexist without ideological strain. I think the reluctance to talk about it could be explained scientifically, by social psychology. I think internet message boards are a fascinating field for human interaction, especially when they are an eclectic interest forum of 'like minded individuals'. I agree! I think this is where hard science could meet soft science and both could come away knowing something new. The bummer with that is that perspectives are clipped into simplistic 'Sides' and people dont want to look like they are on the 'wrong' side. 'Sides' are human constructs but reality isnt. The vagarity between anthropomorphism and anthropocentricism is a common one in this genre. Interesting points of neurological convergence across life forms being closer to reality.